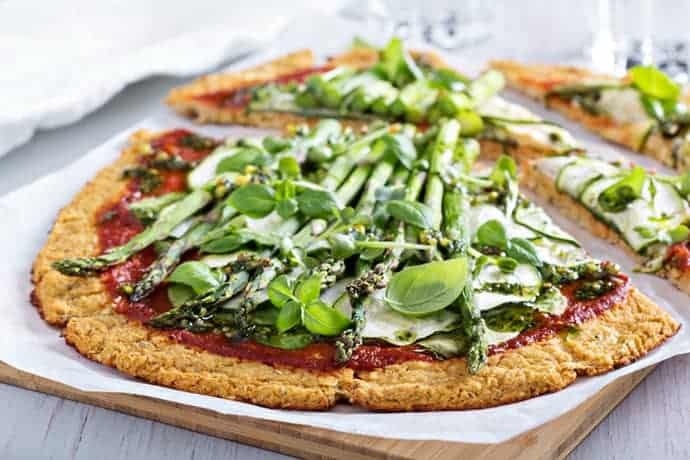 If you’re looking for a low carb, keto friendly pizza, this low carb Cauliflower Pizza Crust with Asparagus and Zucchini is easy and incredibly delicious! Crispy and healthy… and perfect! 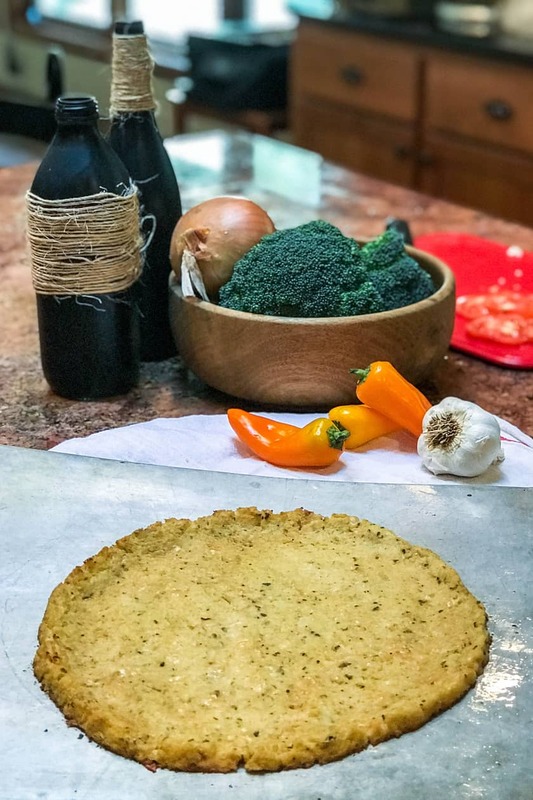 While you can make this crust with fresh heads of cauliflower, as I did, you can also buy pre-riced cauliflower at your local market and save a step. Although, I love making it from heads of cauliflower! Also, if you haven’t made cauliflower pizza crust before, know that the “dough” will not resemble traditional pizza dough in consistency. But truthfully, is equally delicious! I have to thank my sister, Michelle, for inspiring this post. A day in her kitchen, cooking and chatting and catching up, was just as fun as this pizza was delicious. That’s the beautiful thing about food and cooking and making. It all works together so beautifully. 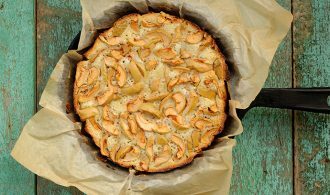 Preheat the oven to 400 degrees F and line a baking dish, pizza pan or pizza stone with parchment paper. Pulse the cauliflower florets in a food processor until they are the consistency of rice. I like to use the grater attachment. And yes, to save time, you can buy already riced cauliflower from your local market. Purchase two 12 ounce or 16 ounce bags. Transfer the cauliflower rice to a skillet and dry roast over medium heat for about 10 minutes. Or until the cauliflower is very soft and dry. Let cool and then transfer the rice into a kitchen towel, squeeze any remaining moisture over the sink. 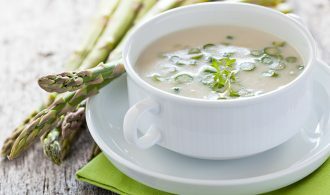 Meanwhile, in a large bowl, whisk the egg and stir in the Parmesan cheese, Italian seasoning, salt and pepper to taste. Then add the cooked and soft cauliflower rice. 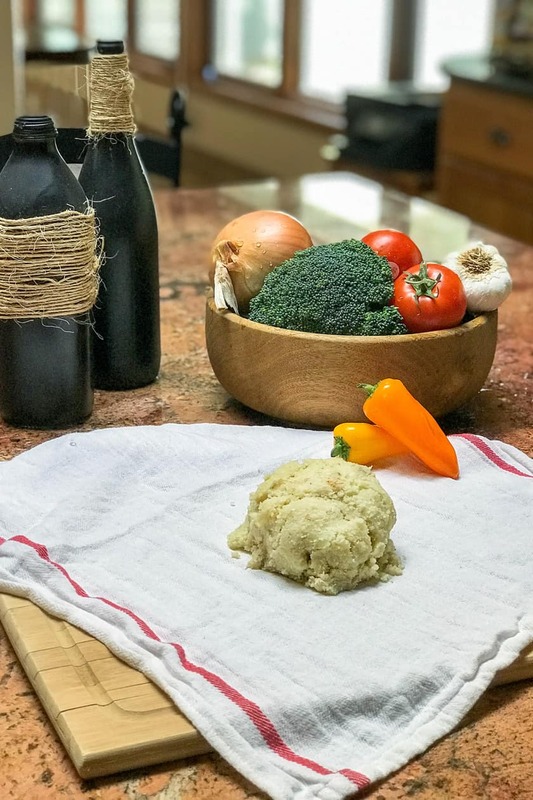 Spread the cauliflower pizza dough onto the parchment paper; shape into a disc shape about 1/2 inch thick. Transfer the parchment paper to the pizza stone, pizza pan, or baking sheet. Bake for 23 to 28 minutes or until the crust top is dry and the edges are turning golden brown. 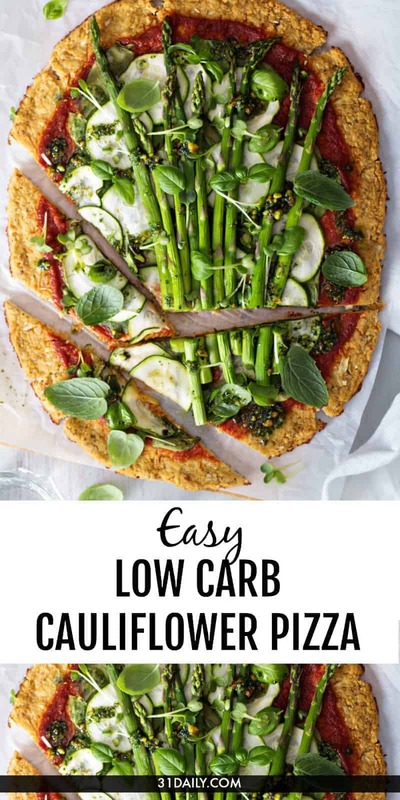 This pizza is easily stored in the refrigerator if you happen to have leftovers. Simply reheat on a pizza stone if you have one. I like to make a couple of crusts ahead and freeze them. But they work best without any sauce or toppings. Simply make the crust and bake it. Once cooled, store in an airtight freezer bag. When you’re ready to make pizza, add your topping to the frozen crust and bake until the topping are cooked and the cheese, if using, is melted. 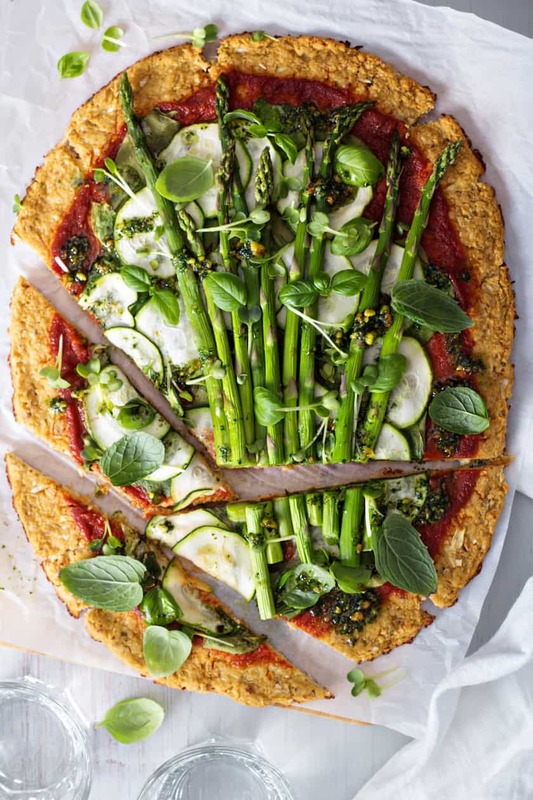 When making a cauliflower pizza crust, try to keep the toppings simple and minimal. Especially go light on the sauce. If using marinara sauce, be sure it is more thick than watery. Almost jam-like consistency. Otherwise, a watery sauce can re-hydrate the crust and make it soggy. Pulse the cauliflower florets in a food processor until they are the consistency of rice. I like to use the grater attachment. Transfer the cauliflower rice to a skillet and dry roast over medium-high heat for about 10 minutes. Or until the cauliflower is very soft and dry. Let cool and then transfer the rice into a kitchen towel, squeeze remaining moisture over the sink. Remove the pizza crust from the oven and let cool for 5 to 10 minutes. This will allow the crust to continue to firm up. Let the pizza crust cool for at least 5-10 minutes at room temperature to firm up more. Add about 1/4 cup of a thick marinara sauce, then layer thinly sliced zucchini and asparagus spears onto the pizza. Top with basil leaves and shredded mozzarella if using. Return to the oven for about 10 minutes, or until the veggies turn bright green and the cheese, if using, melts. Look for a 1-1/2 to 2lb head of cauliflower, or 1 pound bag of cauliflower florets.